In the 2. 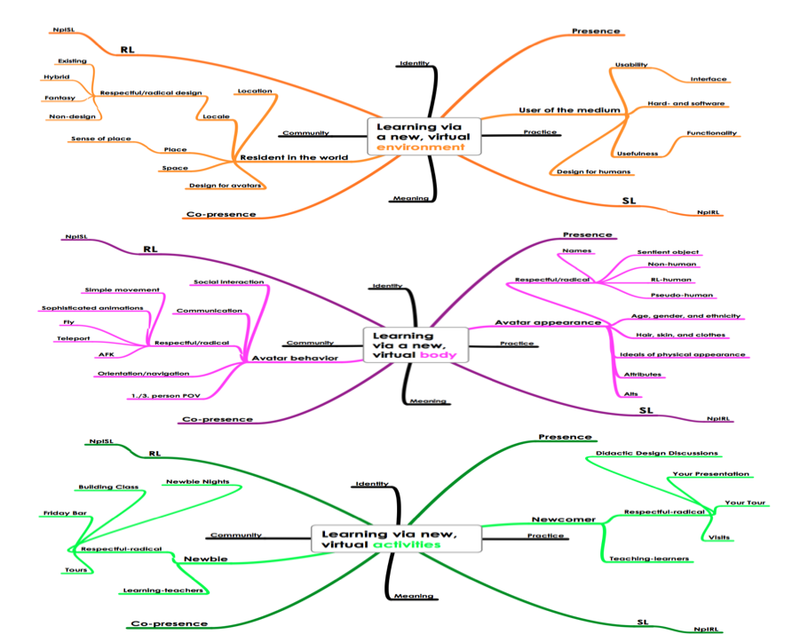 Didactic Design Discussion in the MIL course I’d chosen to focus on some of the central points from my own PhD-project since it also deals with analysis of SL as teaching and learning environment. Discussing some of my own ideas with the students naturally is very inspiring and rewarding for me personally, but I’m also hoping (and sensing) that the students benefit from seeing my approach to the problem, and judging from the vivid discussion I do believe, I managed to challenge some of their presumptions. I’m not able to reproduce all of it, but I will try to highlight a few issues. 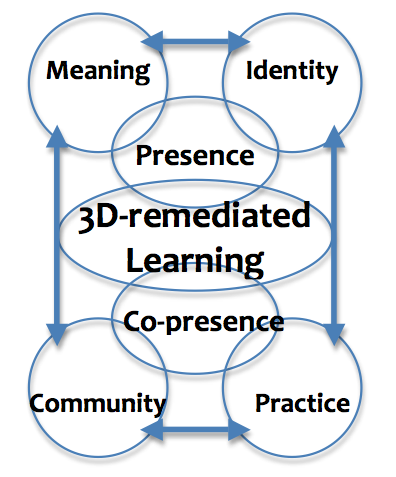 Essentially my PhD-project is aimed at improving Blended Learning within Higher and Further Education through remediation and redidactization. 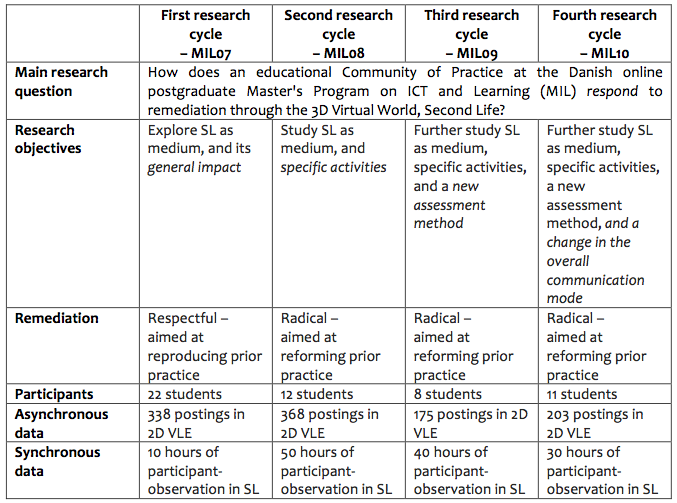 Through a process of designing and redesigning two specific Blended Learning courses within 6 research cycles the aim is to enhance learner experience and learning outcome by using new augmented/immersive 3D media and a learner centered Problem Based pedagogical approach. 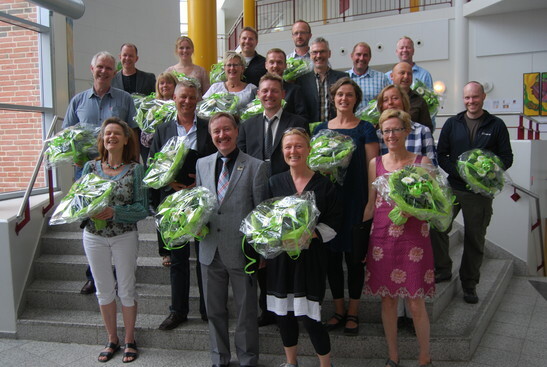 In both cases the target group is adult teachers/ trainers from the educational and the private/industrial sector from different countries. 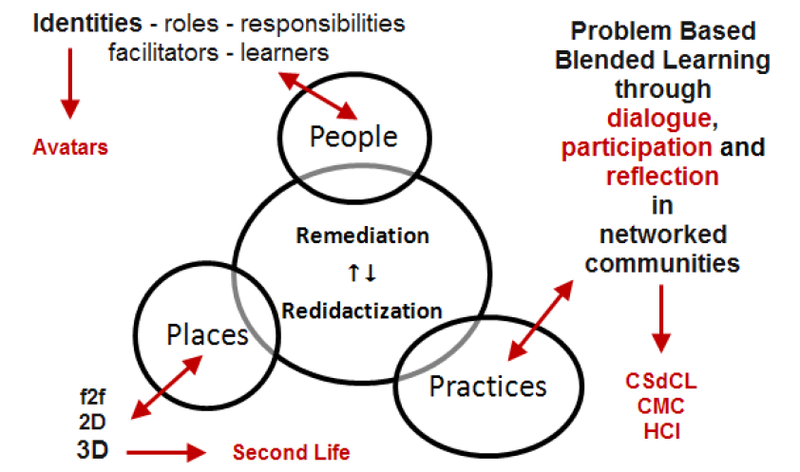 The concept remediation (in relation to new media) was coined by Jay David Bolter and Richard Grusin (2000), but there was no explicit value or quality identified with different ways of remediating in the original concept. 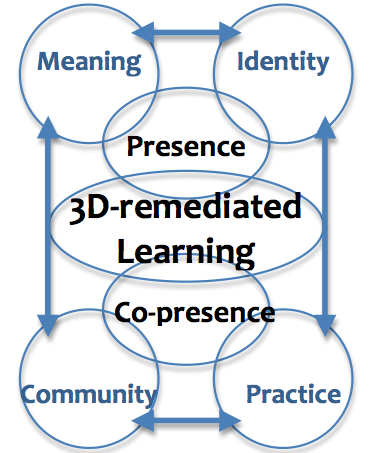 However, Tringham, Mills and Ashley (2007) further developed the remediation concept in their Remediated Places Project and came up with two distinct strategies for remediation, respectively respectful and radical. 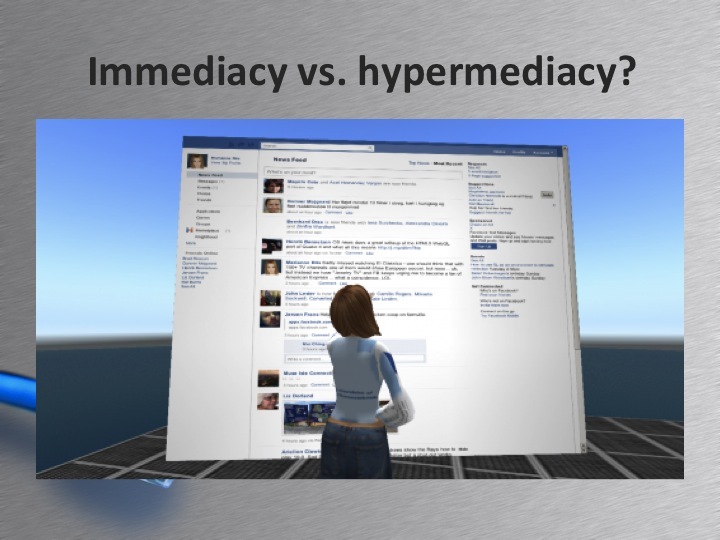 In my point of view these two strategies can be extended to include pedagogical considerations and thus inform more general implementation strategies for blended teaching and learning using new media. 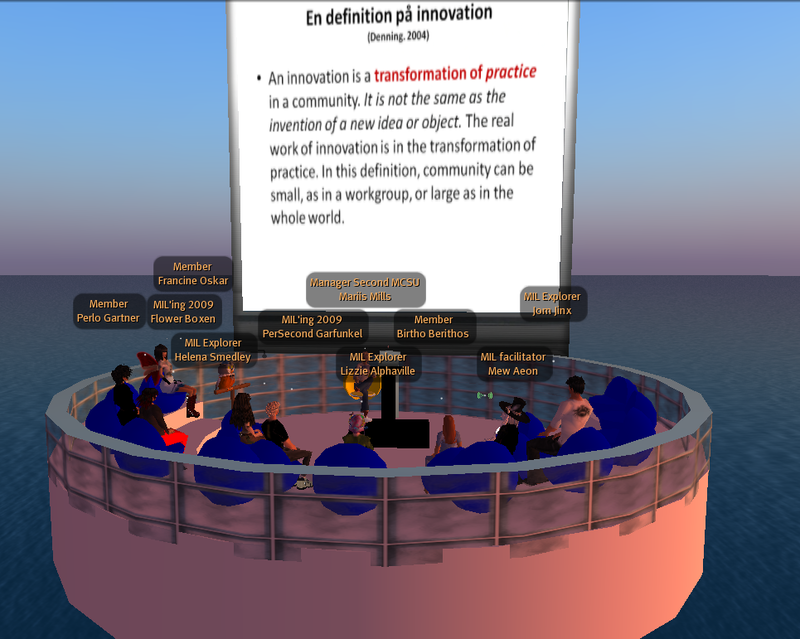 Is a slide show presentation in SL an innovation? 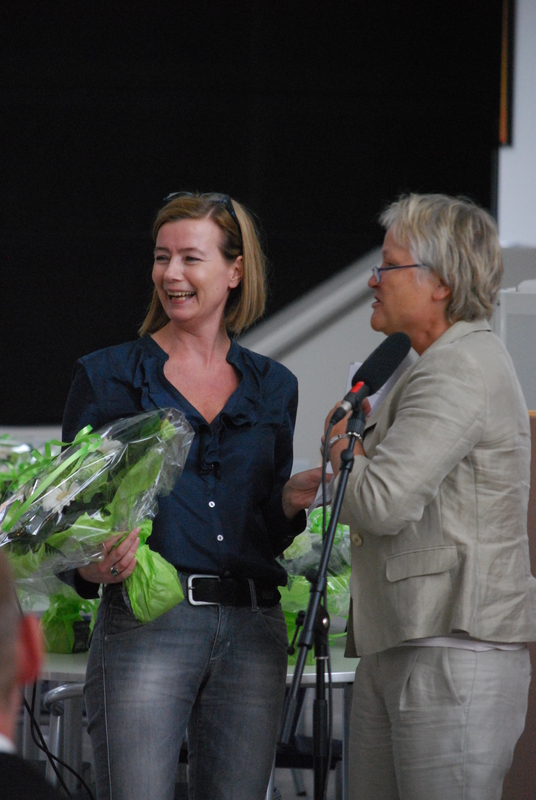 The text for that photo could read: ”SL is an open environment. Join us if you can”. 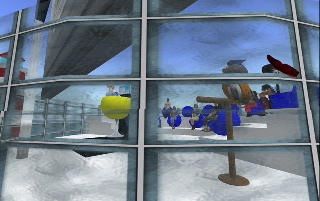 Naturally, the experienced SL resident would know that the dilemma in this particular situation is metaphorical – a shift in camera angle and you’d be there… the perspective on the situation would change and shifting perspective, looking at dilemmas at a higher level of abstraction is one way of solving double bind situations and would according to Bateson. 1972 mean learning at level III. 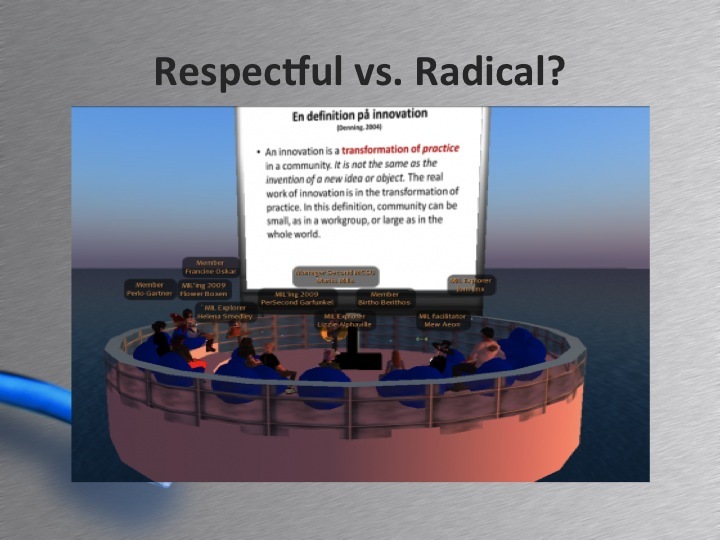 And this is actually one of the reasons why I find SL so interesting – if we assume that the learner overcomes the initial difficulties and gets accustomed to the environment it provides rich opportunities for learning at higher levels, because SL inevitable challenges the learner both ontologically and epistemologically due to the whole meta-cognitive nature of the in-world experience. 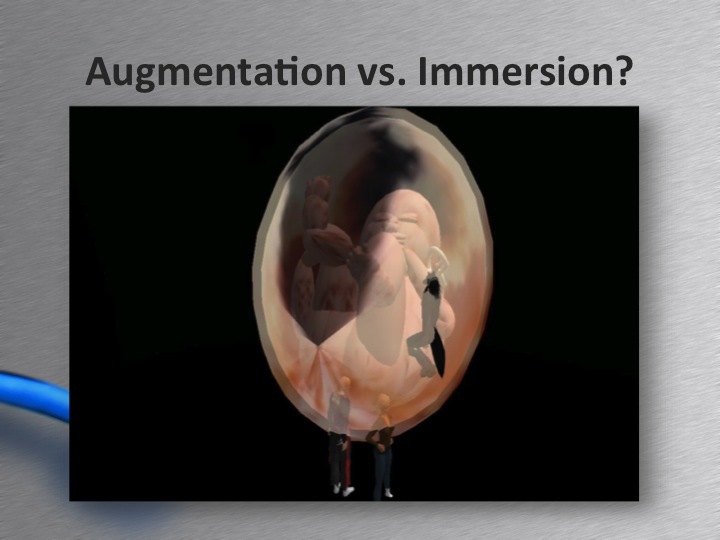 The whole immersion versus augmentation debate is clouded by one trivial little detail. One is not the opposite of the other. The two aren’t even mutually exclusive.